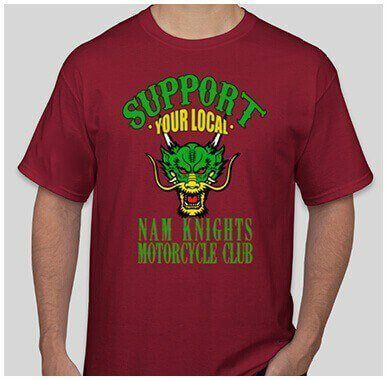 Features Nam Knights MC dragon head surround by "Support Your Local Nam Knights of America Motorcycle Club". 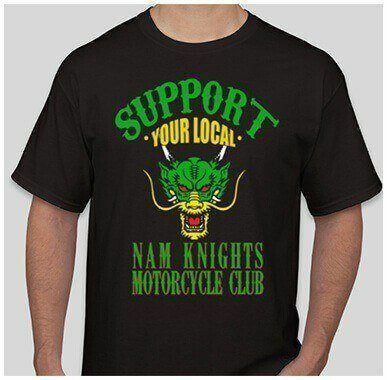 Features Nam Knights MC dragon head surround by "Support Your Local Nam Knights of America Motorcycle Club. 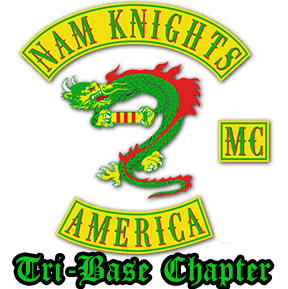 Featuring the Nam Knights MC dragon head and POW/MIA on one side with "Support your local Nam Knights Motorcycle Club". 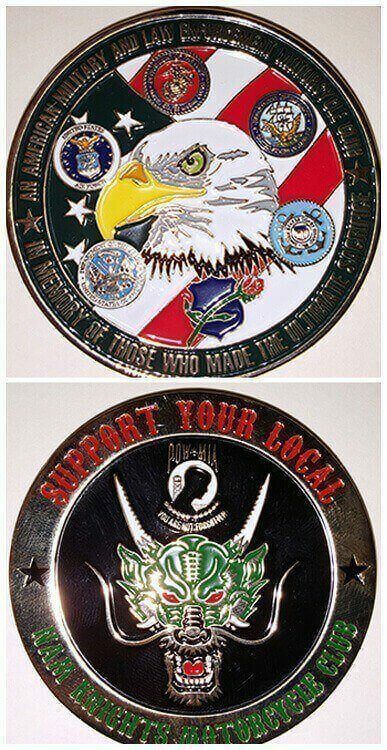 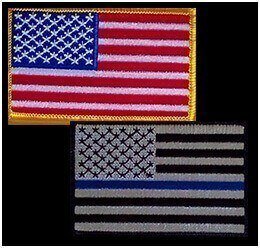 The reverse side features the American Flag and Eagle with the United States Military Emblems and Fallen Officer Shield with "An American Military and Law Enforcement Motorcycle Club and In Member Of Those Who Made the Ultimate Sacrifice.